Even in May - at night every cat is grey. A couple of jazz-cats insist they are blue, though. Icelandic alto sax and a Copenhagen Hammond. A guitar smoking another cigarette. For those whose heart is aching. For those who are cooking. 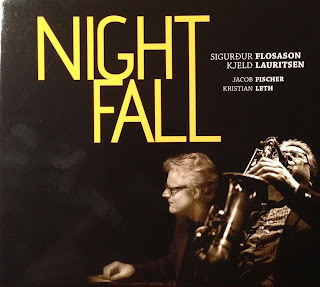 Thank you Kjeld Lauritsen (Hammond), Sigurd Flosason (alto saxophone), Jacob Fischer (guitar) and Kristian Leth (drums). Thank you for this fabulous and highly recommendable album with classic, swinging jazz.